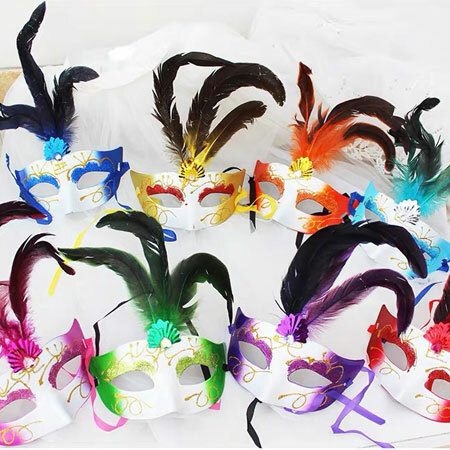 These elegant masquerade ball masks are decorated with flowers and feathers on one side. 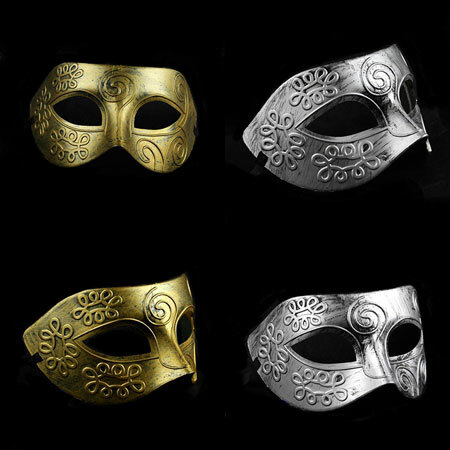 They are gliltery and bright in colors of gold,white,red, black, suitable for men, women and children. 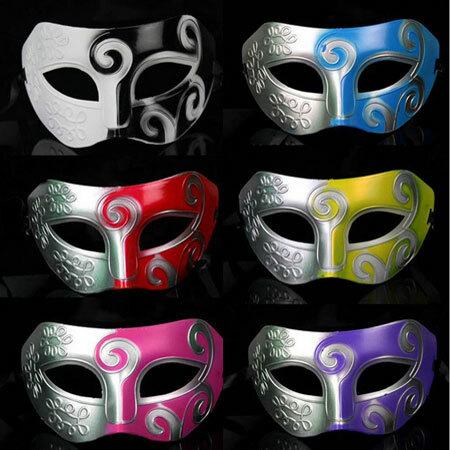 These Party Mask are made from high quality PVC. 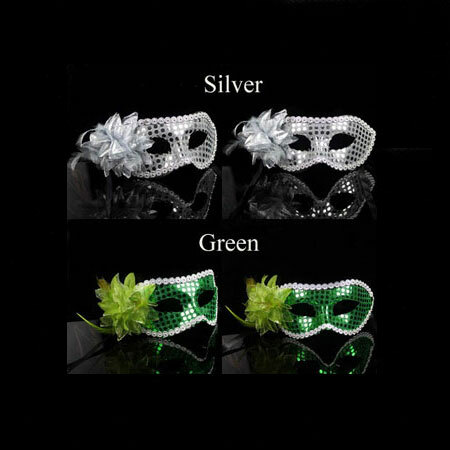 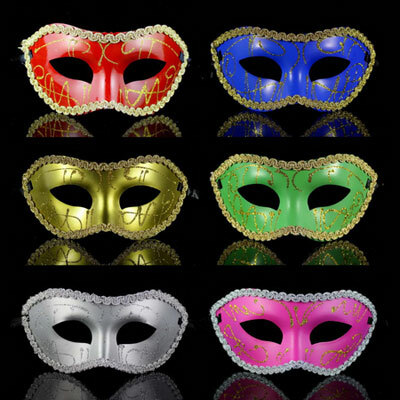 They are really cool to wear in Halloween party, Christmas Costume Party, Masquerade ball or wear as mardi gras masks. 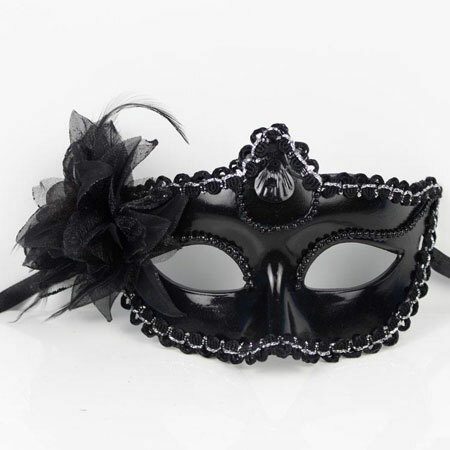 Style: Lace trimmed with Lily Flower at side. 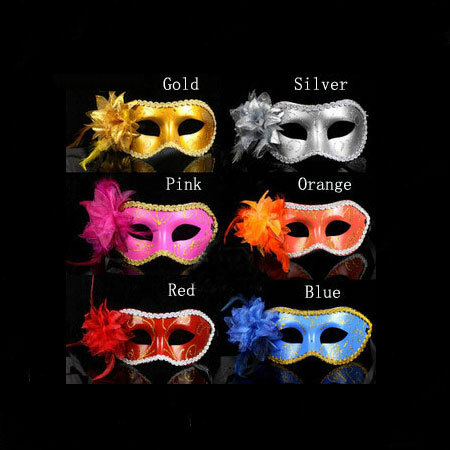 Colors available: Silver, Black,Red, Pink, Orange. 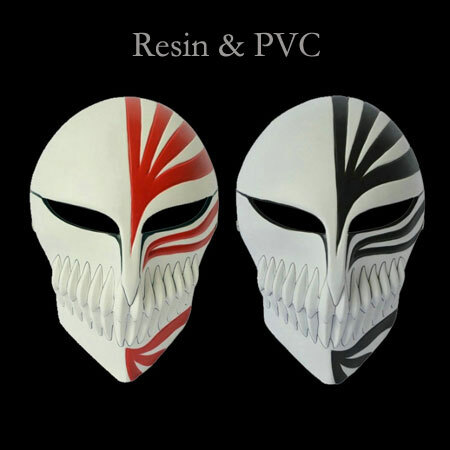 Very cool mask and fits well. 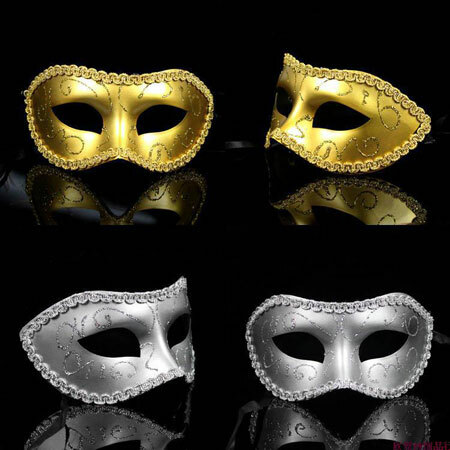 I bought 4 masks and love the black best!